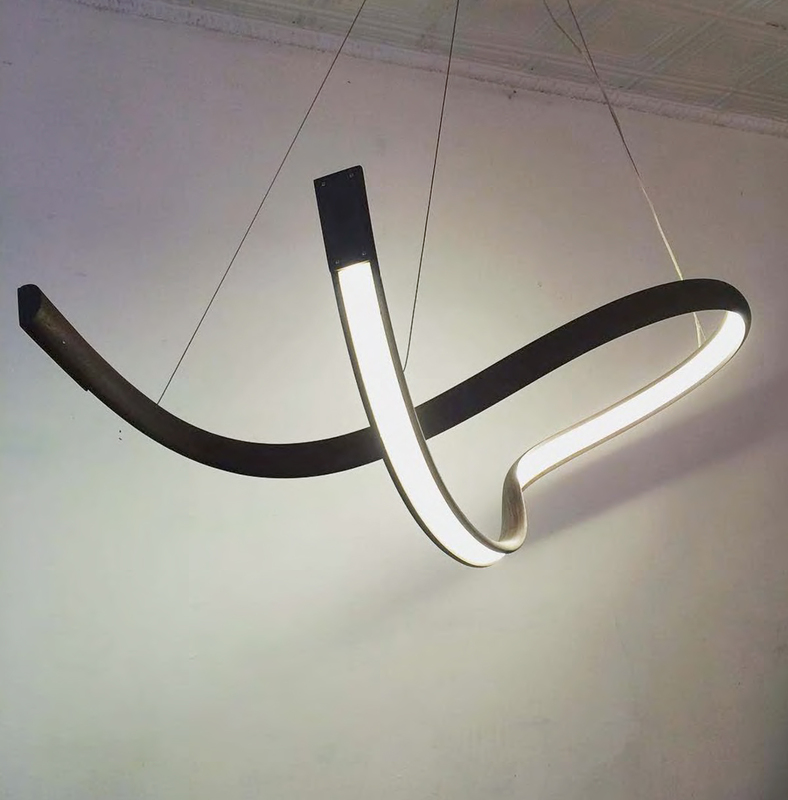 With a Bachelor of Fine Arts, John Procario took his love for sculpture and brought it into the world of design. After studying sculpture for the majority of his life he developed a specific kind of aesthetic that influences his work in furniture and lighting. It began with his idea of wood being a metaphor for the body. Wood will bend comfortably to a point, then break; just like bone or muscle, wood has its limit. What John was trying to do in his work was push that limit to create a sense of strain in the wood's gesture. Conceptually, he was trying to allow beauty to be the product of strain. Precariousness, harmony, balance, stress, and fluidity are some of the words he uses to describe his aesthetic. His furniture and sculptural luminairs are made up of bent wood, and done so in such a way that no two are the same. He does not use forms to bend and control the shape. Instead, he likes to allow this idea of letting the wood do as it pleases a bit, making the process something like a collaboration between the craftsman and the wood's personality. The outcome is something beautiful and organic.